Does this statement meet all five criteria of Papal Infallibility, as defined by the First and Second Vatican Councils? The first criterion is that the statement come from the Roman Pontiff himself, not from any other Bishop or group of Bishops, and not from any of the other offices or congregations within the Holy See. The above statement was issued by Pope John Paul II in an Apostolic Letter, so the first criterion is met. The second criterion is that the Pope be speaking ex cathedra, or, as the Second Vatican Council termed it: “in virtue of his office, when as the supreme shepherd and teacher of all the faithful, who confirms his brethren in their faith (cf. Lk 22:32)….” [Lumen Gentium, n. 25] In Ordinatio Sacerdotalis, Pope John Paul II specifically states that he is speaking “in virtue of my ministry of confirming the brethren (cf. Lk 22:32).” The wording he chooses is nearly a quote from the Second Vatican Council definition of Papal Infallibility and he cites the same Scripture passage. The Pope is clearly saying that he is speaking by virtue of his role as Shepherd of the Church. Therefore, the second criterion, that the Pope be speaking ex cathedra, is met. The third criterion requires that the Pope be expressing a final decision or a definitive teaching: “he defines” (Vatican I), or, “by a definitive act, he proclaims” (Vatican II). The wording used by Pope John Paul II clearly indicates such an authoritative definition: “Wherefore, in order that all doubt may be removed….” Removing all doubt is certainly definitive. 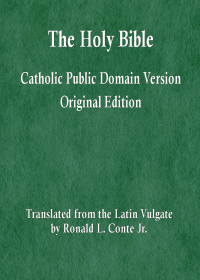 In addition, the Pope uses the phrase, “I declare,” which gives the statement the form of a proclamation or a definitive assertion, and he even uses the word, “definitively,” which together nearly mirrors the Vatican II phrasing: “by a definitive act, he proclaims.” The third criterion is met by this document. The fourth criterion is that is that the teaching of the Pope must be on the subject of faith or morals found, implicitly or explicitly, within the Sacred Deposit of Faith. In the statement quoted above, the Pope states that the subject is “a matter which pertains to the Church’s divine constitution itself.” The divine constitution of the Church is certainly a matter of Faith. Furthermore, earlier in the same Letter, the Pope specifically states that this teaching is based on Sacred Scripture and Sacred Tradition. First, in quoting Pope Paul VI, he cites both Sacred Scripture and “the constant practice of the Church,” and he uses the phrase “Apostolic Tradition.” [Ordinatio Sacerdotalis, n. 1.] He reviews examples from the Gospels and the Acts of the Apostles which contain this teaching. [Ordinatio Sacerdotalis, n. 2] And he again refers to Tradition near the end of the Letter: “the teaching that priestly ordination is to be reserved to men alone has been preserved by the constant and universal Tradition of the Church….” [Ordinatio Sacerdotalis, n. 4] Clearly, the Pope is teaching on a subject of Faith found in the Sacred Deposit of Faith, so the fourth criterion is met. 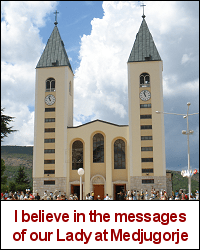 Furthermore, the Sacred Congregation for the Doctrine of the Faith, released an official Response to Doubt: “On Ordinatio Sacerdotalis, Responsum ad Dubium,” October 28, 1995, which also stated that this teaching is part of the Sacred Deposit of Faith. This Responsum ad Dubium was approved by Pope John Paul II. The fifth criterion is that the Pope must be defining a teaching, which “must be held by the universal Church,” [Pastor Aeternus, chap. 4.] in other words, that he is requiring all the faithful to believe a teaching because it is, “in accordance with revelation itself, which all are obliged to abide by and be in conformity with.” [Lumen Gentium, n. 25] The Pope’s Apostolic Letter, Ordinatio Sacerdotalis, explicitly requires belief by all the faithful: “…I declare that the Church has no authority whatsoever to confer priestly ordination on women and that this judgment is to be definitively held by all the Church’s faithful.” [Ordinatio Sacerdotalis, n. 4.] Since this statement clearly does require belief by all the faithful, the fifth and final criterion is met. All five criteria for Papal Infallibility are met by the declaration on priestly ordination found in the Apostolic Letter Ordinatio Sacerdotalis. Therefore, the declaration falls under Papal Infallibility and is, without doubt, the Infallible Teaching of Christ. This teaching on priestly ordination is an example of the use of the first charism of the Sacred Magisterium: Papal Infallibility. Moreover, at this point in time, the same teaching is also infallible under the ordinary and universal Magisterium. So the infallibility of the teaching should not be a matter of dispute among the faithful. Whosoever obstinately denies or obstinately doubts this infallible teaching commits the sin of heresy. Gallery | This entry was posted in Magisterium, Mass, Sacraments. Bookmark the permalink.